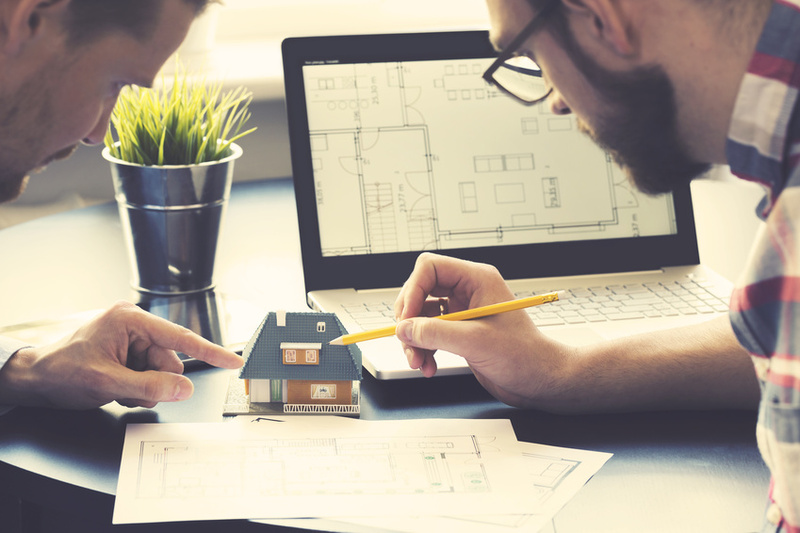 According to data recorded by Zillow, 48% of home buyers are looking for homes that have never been lived in, and the sure way to achieve that is by building a custom home. You’ll have everything tailored to exactly what you want, but sometimes the hardest part is knowing where to begin. First, you will have to sift through the different home floor plans and decide which style you want to be the basis for your home. An open floor plan with a kitchen that overlooks the family room. A great room that serves as a central and functional gathering area. A kitchen with a large meal prep area and walk-in pantry. A home office for the work-at-home parent. Large windows that create an expansive space and allow plenty of natural light. Whitewashing the interior and/or exterior surfaces. A strong sense of structure, including using exposed support beams. Using materials such as steel and concrete. Overall, modern homes are based in minimalism. They value the concept that creating simple looks can be extremely difficult. Modern home plans are focused on order and consistency, so if that reflects your values as a homeowner, a modern style might be right for you. Large windows and high ceilings to let in plenty of natural light, making contemporary similar to modern in this way. Displaying natural materials in windows and ceilings, which distinguishes it from modern styles. Softened elements like a curved ceiling. As contemporary home plans differ so much from home to home, it is difficult to pinpoint many common features, but they all are based on a feeling of playfulness. If you aren’t afraid of throwing different and fun elements into your floor plan, then a contemporary home plan may suit your home perfectly. With the right floor plan, your custom built home will speak to your aesthetic style while also providing the right level of functionality in a new home for your family.